John Calvin Coolidge Jr. was the 30th President of the United States. A Republican lawyer from Vermont, Coolidge worked his way up the ladder of Massachusetts state politics, eventually becoming governor of that state. 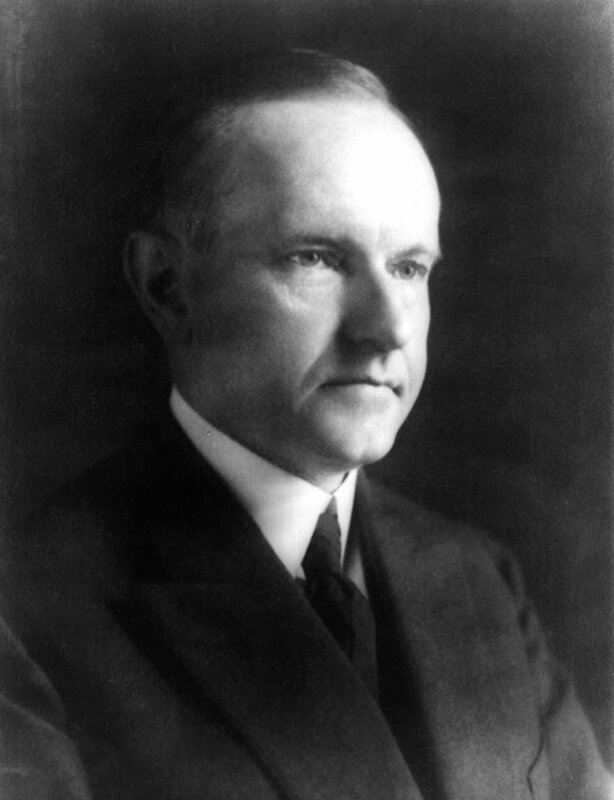 As America’s 30th President (1923-1929), Calvin Coolidge demonstrated his determination to preserve the old moral and economic precepts of frugality amid the material prosperity which many Americans were enjoying during the 1920s era. He rapidly became popular. In 1924, as the beneficiary of what was becoming known as “Coolidge prosperity,” he polled more than 54 percent of the popular vote. In his Inaugural he asserted that the country had achieved “a state of contentment seldom before seen,” and pledged himself to maintain the status quo. In subsequent years he twice vetoed farm relief bills, and killed a plan to produce cheap Federal electric power on the Tennessee River. Republished from: “The Presidents of the United States of America,” by Frank Freidel and Hugh Sidey. Licensed under CC BY 3.0.